Chicago, “Call On Me,” the first song written by trumpeter Lee Loughnane. Practically all the calls I get these days are robocalls from telemarketers. I have a rule: if I don’t recognize the number, I don’t answer. They leave messages for me, some of which seem to be read by a 12-year-old girl, who I have named “Robotween.” I’m sure she’d like to engage me in conversation. Tough. Kim Komando says that the IVR systems they use want to try and get you to use a word that they can then use to steal all your money. I’m sure Kim is right, but that’s not the reason I don’t answer their call. I don’t answer their call because I don’t want to encourage them. It’s amazing how few calls I get from them now. 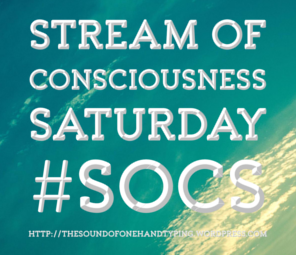 Stream of Consciousness Saturday is brought to you each week by Linda Hill and this station. Now here’s morgan Freeman for Listerine, the taste people hate twice a day. Oooh love Blondie and wish that song had popped into my head instead of Call Me Maybe by Carly Rae Jepsen. I have an affliction (my term for it) where I have to answer a call (when I see or hear it). Might be all those years in a call center trying to avoid RONAs (rolled over not answered). I miss a fair amount of calls by not having my phone on me 24/7. But I also get a fair amount of robocalls since I have to answer any time it rings. The FB change annoys me. I found out by accident last night. I now have a FB page too as a work around. I have not invited more than 5 people to my page because somehow that seems like sales tactic. Hopefully they will find me. And the $10 boost to get followers (oh my word). I’m not a fan of those callers either – and I don’t answer if I don’t recognize the #. There seems to have been an increase in them lately. Enjoy your weekend – hope it is robo call free! They’ve slowed down for me, and I notice a lot of them no longer leave a message if they get my voice mail. I figure, if it was someone who needed to speak to me or that I wanted to hear from, they’ll leave a message, and I can call back. Facebook is a big pain in the backside, but it has its uses. 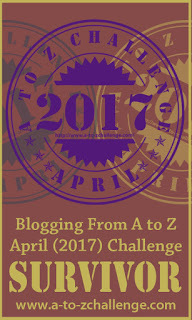 Mary follows what’s going on in the neighborhood, and I announce what’s going on here on the blog, and the groups are pretty good…. Having a Facebook page prevents someone else from creating one. It took 3 months for our company to acquire the rights back from a fake page. I don’t answer calls if I don’t recognize the number either. I still get a quite a few calls, most of which don’t bother to leave a message or if they do it’s a recorded scam message. But we all have to be even more careful, now, though, since there’s a lot of scammers using spoofed phone numbers too. So you may get a call from a number that you think you know but it turns out to be a scammer instead. My husband started making a list of the area codes from the spam calls we were getting (he’s retired and bored). I doubled checked to see if we were on the Do not call list and we are. The worst ones I’ve gotten recently were the ones from “Apple” where they called 10 times in a row – no joke – to tell me that my account was in danger. I do have Apple things but I know a spam when I hear one. Love Blondie and I hate those telemarketers also but, sometimes, we have fun and last week we got a call and I answered it. It was those horrible people to clean out the vents so I just acted like an old deaf woman..they hung up on me! Hahahaaaaa. I had a feeling the Facebook was something like that for you. I watched the listening commercial and I actually remember it but had no clue Morgan Freeman was in it. He really cultivated his voice later on didn’t he? I was surprised that was Morgan Freeman, but he’s a good enough actor that he might have modified his voice for the occasion. I don’t like those calls and don’t answer my phone unless it’s someone I know. My phone indicates if the call is a robocall – love this feature! I can also put the unwanted calls on my reject list – love this feature as well. Back in the day, I worked in a call center and took over 100 calls a day. Needless to say, I don’t like to answer or talk on my phone. I’df rather do just about anything than talk on the phone…. I have Truecaller and whatever AT&T’s spam blocker is, but I just let everything roll into voice mail and deal with it there. Much less stressful. Same. Annoying. We’re on Do Not Call, but umm, they call! Got one the other day, and it’s a lady who tries to make it seem like she knows you. She’s all, “Amy?” then a laugh, “That’s okay, I’m worse with names than Adam! I’ll try to … ” and I hung up. So weird. YUP. Have you had any from your own phone number? Those are the weirdest! LOVE those songs! Love/Hate Facebook. Sometimes a telemarketer will slip through cause maybe it’s my relative calling from Indianapolis. What an awful job that must be. I’m gonna listen to Chicago now. Which album or albums will you be listening to? I meant the song you put on your blog! 🙂 Too many good ones to pick a favorite. YouTube is pretty amazing. I also listen to albums sometimes when I go work on my parents’ house. I found an old turntable there. It is comforting to hear the next song coming in the right order. It really throws me off to hear the songs out of order. I only use shuffle when I’m building a playlist like this one.